Budget airlines. As well as lost luggage, cancelled flights and a mish-mash of other travelling problems that they have contributed towards, their one undeniable quality is how they’ve shrunk the world. 20 years ago hop-footing across the continent at ready ease was almost unheard of, but the advent of the cheap flights has gifted us the weekend away at a marginal expense, in some cases actually a saving when compared to the rates shelled out on equivalent partying in this country. Fancy boshing it in the Balkans; no problem, Mediterranean mischief; easily reached. And as the borders on rave’s international frontiers shrink ever further people get more and more excited about the electronic pulse beating across the planet. There’s one destination though that excitedly reaches out as the avant-garde of modern dance music, arguably even wrestling the grip of Ibiza’s Balearic rule. And it’s from here that Data Transmission brings you this rave report; fully seduced by the Teutonic clutch of Berlin after a monstrous partying induction. We’d heard all the stories before we were sent over there, advice thrust on us by rave weary veterans of the city’s scene and battle scarred tourists who fell afoul of certain door policies. Don’t allow your English accent to come out in a door queue, don’t associate in large groups of males; going to Berlin feels a little bit like a first day of school or university rather than one big huge party. Heeding these sanguine voices, we built a quick itinerary to experience as much of the city’s clubs in one evening (with a backup option; the advice didn’t fall on wholly deaf ears) and set ourselves up for a marathon of Germanic groove gluttony. Frist up is Tape, where London disco impresarios Horsemeat Disco are starting a new residency. Jim Stanton heads up the Vauxhall massive and is part of a rather fitting beginning to our evening of Deutsch debauchery. Doubled up with what looks like a large ornamental tree within the middle of the dancefloor, Tape’s appeal is its size. There’s space for maybe 500 hedonists inside, more if the as of yet unopened balcony swings its doors outwards, but it’s the perfect environ of intimacy for the music policy that informs HMD’s remit. Next up is Weekend. Famed for a lighting rig as much as its soundsystem, the club has been eulogised as the archetypal hi-tech club and it’s a depiction that fits perfectly. Encased on the top floor of a skyscraper office block, once getting in you’re whisked to a lift which climbs ten flights in less than 30 seconds. Inside it’s a neon paradise; darkly lit aside from various junctures around the perimeter and the bar at the back of the club. Marc Houle is playing, just before his ties were cut with Minus, and his soundtrack of bass heavy techno is certainly giving the crowd plenty of food for thought. And then come the lights. Whilst Watergate’s LED system is widely heralded, Weekend takes the same concept and simplifies it to devastating effect. A panel of time controlled light bulbs is all that it consists of, but results in brilliant bursts of lights at intermittent periods. And it works phenomenally well, Houle utilising it with devastating results when, with just a mere kick drum pumping out of the speakers with the dancefloor in total darkness, it suddenly erupts alongside a ferocious synth line revealing a cascade of clubbers completely enraptured by the moment. It’s jaw dropping stuff, a visceral delight that tandems perfectly with the music. There’s even a glorious rooftop terrace as well to catch your breath (or turn it onto nicotine), but with time not on our side the dancefloor and its mindfuck lights are heaven for pretty much the entirety of our stay, Houle’s set a gloriously pounding ensemble of sheer hedonism. Finally dragged away, we leave the club safe in the knowledge that things are hopefully going to get a lot better. Next up is Berghain. The queues are almost as legendary as the club itself, such to the extent that doubled up with the 50% fail rate of getting in (heightened apparently if you betray your British roots) the tales of people that don’t make it in are as mythologised to the extent the club is itself. Unassuming from the outside, what looks like an old and battered eastern bloc building is actually a gateway to a world of techno salvation, with its twin club Panoramabar adding a deep house alternative which is widely held as the best environ in the world to Jack’s groove. And the hype has obviously built; when we arrive the queue stretches back an incomprehensible distance and we’re left with the daunting prospect of missing out on the Promised Land. Fortunately, luck is on our side and we manage to get in, at which point we are greeted by probably the best news we can imagine: the hype is wholly deserved. If you wanted to create a scene for a film of a nightclub that eschewed gimmicks and useless components, this is exactly what you would come up with. A huge expansive space, it’s full of monstrous iron staircases, massive ceilings and a dancefloor that is as primal as you’d expect from techno’s premier clubspace. It’s also completely shorn of negative attitude; whilst we’ve seen more hedonistic crowds in the past there’s an overwhelming sense of freedom about everything and everyone, and the effect this has on you whilst you are there is tangible. The variety of people mingling only further emphasises this; hipsters, unassuming clubbers and an assortment of more colourful characters populating the club, all adding to an experience that is, for want of a less clichéd term, overwhelming. Panoramabar is much the same, smaller and more intimate but equally as no nonsense in approach and a sea of writhing flesh drifting in and out of the musical manoeuvres. We’re running from room to grinning like a child in a sweet shop, wide eyed in awe, completely blown away by everything we find. And that’s not even getting onto the subject of the music. 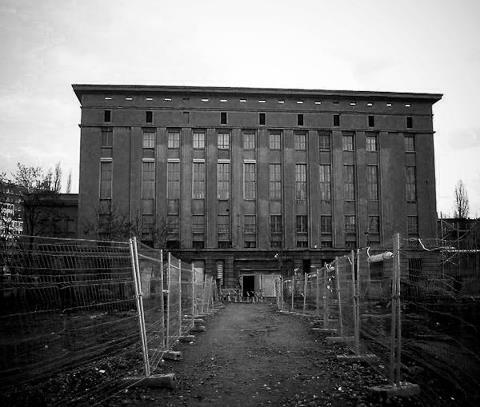 Berghain’s techno is uncompromising and relentless. Norman Nodge and Len Faki are the residents we get treated to, both delivering tremendous bass heavy assaults, but we also manage to catch the end of Andre Galluzzi’s set and a masterclass from Chris Liebing. Panoramabar is much more suited to our rave weary bones, the funk fuelled excursions put on offer from the High Grade collective’s brilliantly deft excursions through house music’s more expansive elements. Despite the fact we’ve spent the previous five hours of the evening criss-crossing over the huge city and diving in and out of Tape and Weekender, there’s enough gorgeous grooves and mellifluous melodies to keep us going well into the late hours of the morning, with the sunlight peeping through the huge windows that adorn the side. It’s also here, away from the relentless surge of Berghain, that we manage to experience the friendlier side of this awe-inspiring club. There’s no evidence of any crowd snobbery or over bearing trainspotter vibes; just a collection of minds all buzzing off the stunning music that greets them at every corner of the venue. If we return to the earlier stages of our evening, by the time we finally stumble out, daytime in full swing, DT feels as giddily in love as Chaka Khan and Rene and Angela did during their HMD sound-tracking songs. It really is that good. We even catch a glimpse of legendary doorman ‘The Web’ on our way out, the casual exponent of the ‘Nein’ which brings a hope crushing end to the dreams of many each and every Saturday. It’s then we spare a thought for those who don’t make it in, and whilst Berlin is awash with alternatives (second option Watergate remains, like a longer dalliance with Tape, on our to-do list) we doubt there’s anywhere quite on the planet that comes close. Which goes to say for the city as a whole; quite simply dance music in its purest form doesn’t come any better.